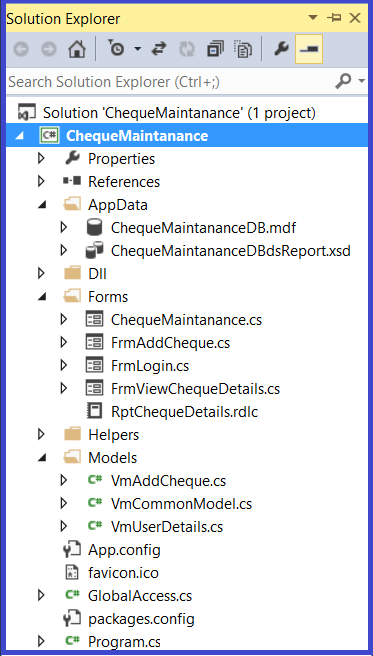 In this blog, we will create a simple Windows application for maintaining check details using Visual Studio. In this application I have used MDF file. If you need, create a database from SQL Server, following the same script. 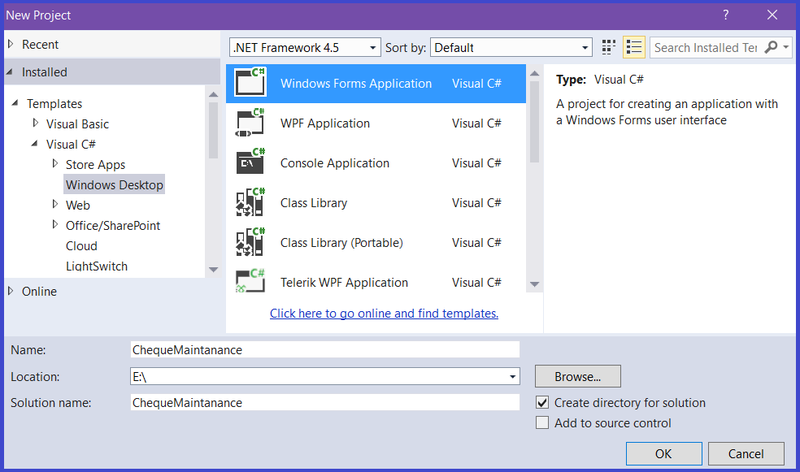 Open Visual Studio New > Project > Window Desktop > Select Windows Form Application. After the project name hit OK and it will go to the solution explorer window. Right click the project and select New> New Item. 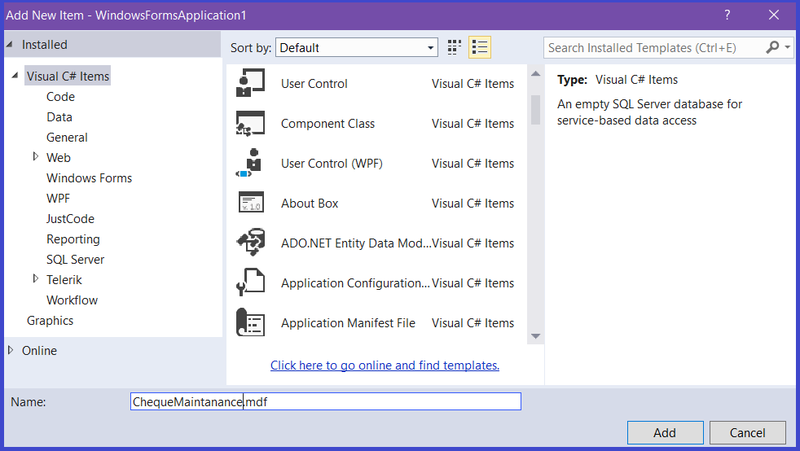 If you are going to use MDF, after creating this file run the above query in Visual Studio. I have authenticated a simple username & password. Data is saved into the database and pending to data grid control. For the report concept I have used default Visual Studio report of rdlc. If you need, you can add any external reporting tool like crystal report, Telerik report…etc.